In the early 19th Century the grim images of winged skulls, skeletons, snuffed candles, and gravedigger’s equipment which spoke, in part, to the fragility and brevity of life gave way to more sentimental images of willow trees, flowers of all kinds, and urns. As the century progressed funerary sculpture and imagery became more ornate and more sentimental often memorializing deceased children in stone. 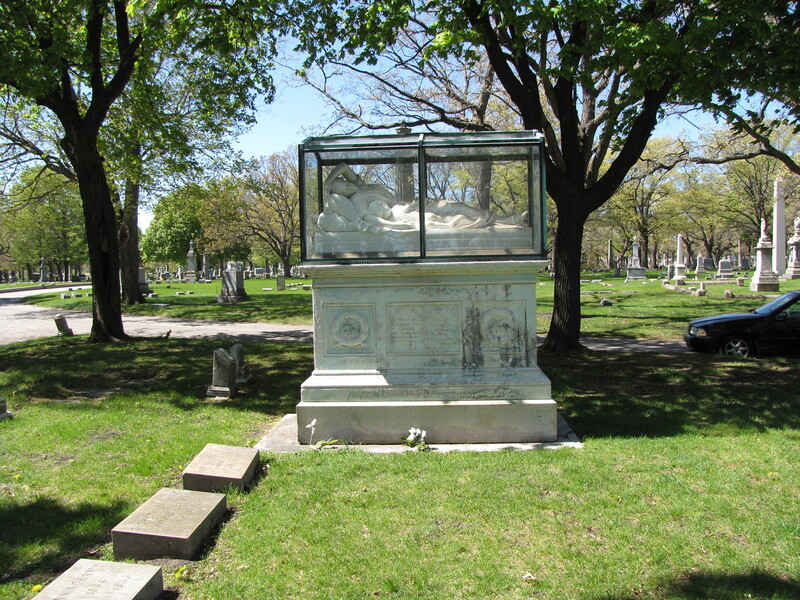 In the Rosehill Cemetery at Chicago, Illinois, a poignant reminder of the real risks of childbearing are all too clear in the monument that was carved for Frances M. Pearce Stone, the young wife of Horatio Odell Stone, and her infant daughter, Frances Pearce Stone, who died a scant four months after her mother. Century the grim images of winged skulls, skeletons, snuffed candles, and gravedigger’s equipment which spoke, in part, to the fragility and brevity of life gave way to more sentimental images of willow trees, flowers of all kinds, and urns. 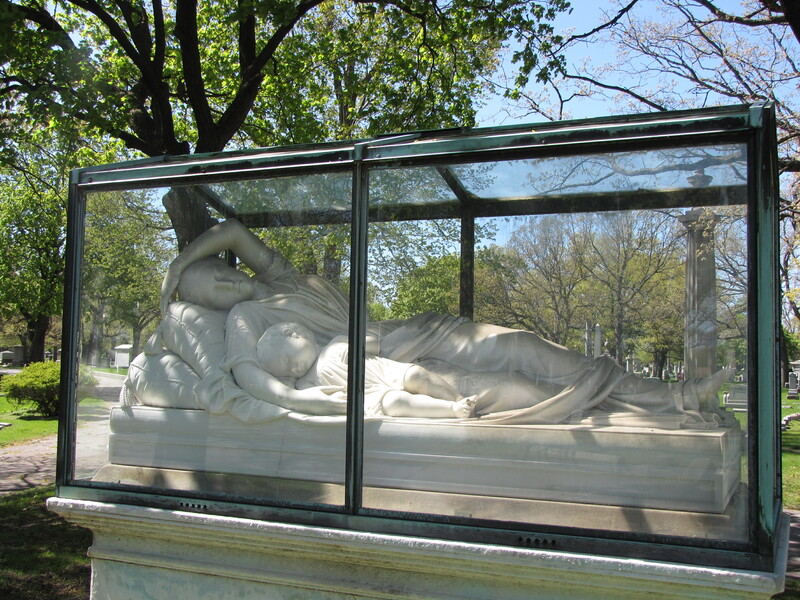 As the century progressed funerary sculpture and imagery became more ornate and more sentimental often memorializing deceased children in stone.